Buying a new home can be a daunting process, especially if you’re a first time homebuyer. When you’re preparing to buy a home, the key is to stay organized, keep an open mind and have some talent on your team. There are plenty of ways to make the process of smooth, seamless and stress-free. Here in Chicago, homes are selling faster than ever this year. In May alone, condos were on the market an average of 52 days, which is the lowest since 2007. That makes it more important than ever to do your research and always stay one step ahead of the game. This might seem intuitive, but a good broker truly is invaluable. It’s important in this market, because brokers can get you early access to properties as soon as (or sometimes even before) they hit the open market. They can leverage their relationships with other brokers to advocate for you as the perfect buyer. Their knowledge of the market, a neighborhood, or building association can save you from a costly mistake and help guide you to the perfect home. A good broker can also save you time: pictures can be deceiving, but a broker who has already been inside many of the homes in your area can help you choose properties to view in person. 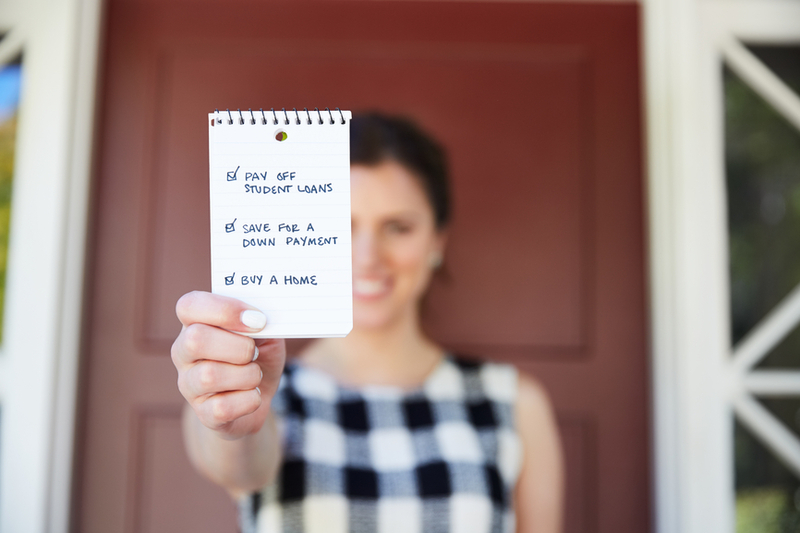 One of the easiest things you can do to prepare to buy a home is to get organized, beginning with your finances. With homes selling quickly, work with a loan officer to be pre-approved before you begin looking at homes. Student loans or credit card debt could affect your loan amount, and you don’t want to overextend yourself. A good rule of thumb is to make sure that your total monthly payment does not exceed 33% of your monthly income. Finally, keep in mind other costs come with home ownership and have room in your budget for repairs, furnishings, rising assessment or tax increases. It’s rare that a home has 100% of your wish list. Be willing to make some compromises but do make sure that you don’t skimp on the things you really want or the things that will affect the resale of your home. Size, location, walkability, school district, parking and laundry always seem to make the list. It’s also important to keep in mind that needs change and you should look to the future when finalizing your decision. Depending on the property, you may find yourself competing with other buyers for the same property. Sometimes just paying the most for a property does not mean your offer will be accepted, so work with your broker to make your offer stand out. Your broker can strategize with you on other terms of the contract, such as closing date or other contingencies, to make your offer more appealing. Rick is a managing broker at @properties. In addition to a 15+ year real estate career, Rick is no stranger to the open road. He’s taken many cross-country motorcycle trips -- even a solo run from Chicago to Fairbanks.